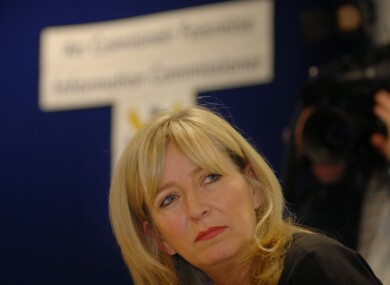 Emily O’Reilly was declared the new EU Ombudsman after a close election battle. IRELAND’S OMBUDSMAN EMILY O’Reilly has won a vote to become the new European Ombudsman. The former political journalist received a majority of votes from MEPs in the third round of voting this morning in what proved to be a close election battle in the European Parliament. O’Reilly received 359 votes out of 635 valid votes cast this morning in a run-off between the top two candidates. Four other candidates were knocked out in the first two rounds of voting. O’Reilly had tied for the position in the first round of voting in the European Parliament yesterday. The European Ombudsman investigates complaints about maladministration in the EU’s institutions and bodies. MEP Nessa Childers said it was an ‘outstanding’ victory. O’Reilly was congratulated in the Dáil by Minister for Jobs Richard Bruton, Fianna Fáil leader Miceál Martin and Sinn Féin leader Gerry Adams. Email “Next stop Strasbourg: Emily O'Reilly wins vote to become new EU Ombudsman”. Feedback on “Next stop Strasbourg: Emily O'Reilly wins vote to become new EU Ombudsman”.